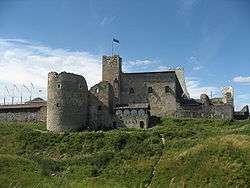 The following is a list of cities and towns in Estonia. Many of these locations have been known, specially before 1918, by their German or Russian names, occasionally quite different from the Estonian ones. After the annexation of Estonia by the Soviet Union in 1940, although only Estonian names were used in Russian, the use of Russian language sources meant that some incorrect back-transliterations were used (e.g., Vilyandi, Pylva rather the correct Viljandi, Põlva). 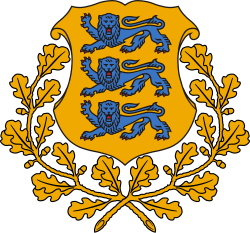 Jaanilinn (Ivangorod), 1617-1649, merged with Narva, annexed by Russian SFSR in 1945. Petseri (Pechory), 1776-onwards, annexed by Russian SFSR in 1945. Vana-Pärnu, 1251-1617, merged with Pärnu. "Population figure and composition". Statistics Estonia.